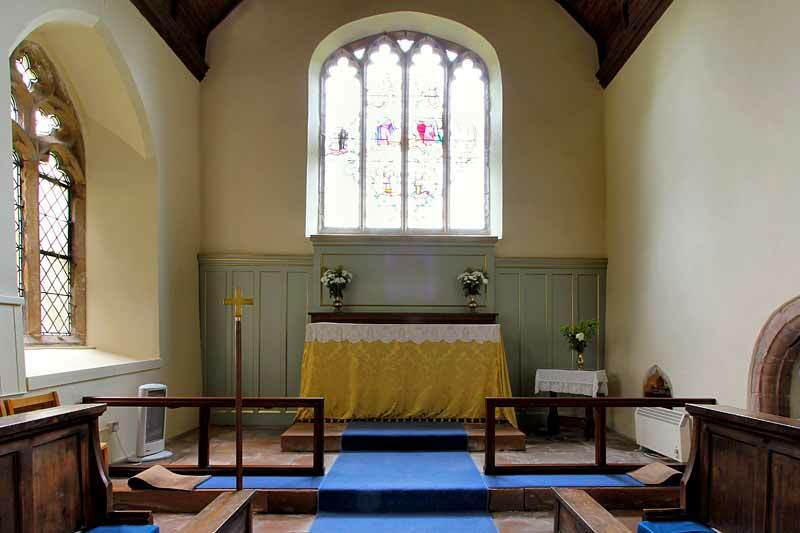 The altar is freestanding in oak of simple design, with panelled sides. This is of simple design in oak, extended with centre rail by C.G. Rhodes, joiner of Farnsfield. This is of painted wood to the design of Fowler Hodgson of 1890s (see detailed drawings in Nottinghamshire Archives). This is of simple painted wood; it was repainted in 2011. By the west door natural wood screens were installed in 1961 to provide a draught lobby, small store and vestry. Sliding doors to the store and vestry flank a pair of hinged doors to the lobby. Originally open, a ceiling was added to the lobby area by C.G. Rhodes of Farnsfield. There is an octagonal shaped stone font on a stone pedestal and plinth. It has a wooden painted cover described as 17th century in the listing description and consisting of eight open ribs forming ogee arches and terminating in an acanthus decorated knob. 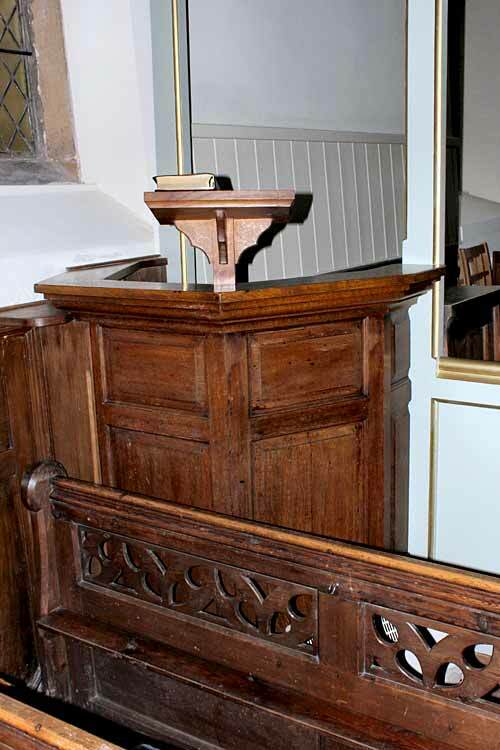 A simple wood pulpit in oak, with a wooden lectern with notched adjustable support. These are of 'stained deal' of 1890's restoration, when a gallery with stairs were removed at this time. 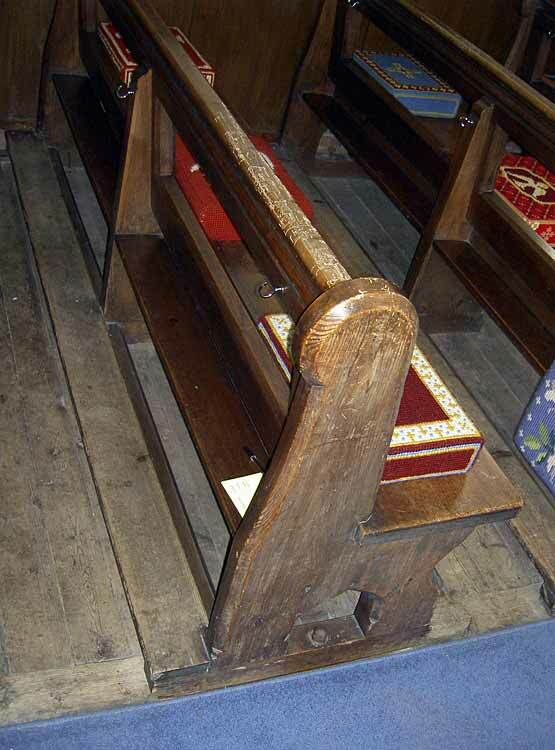 The present pews probably replaced box pews. 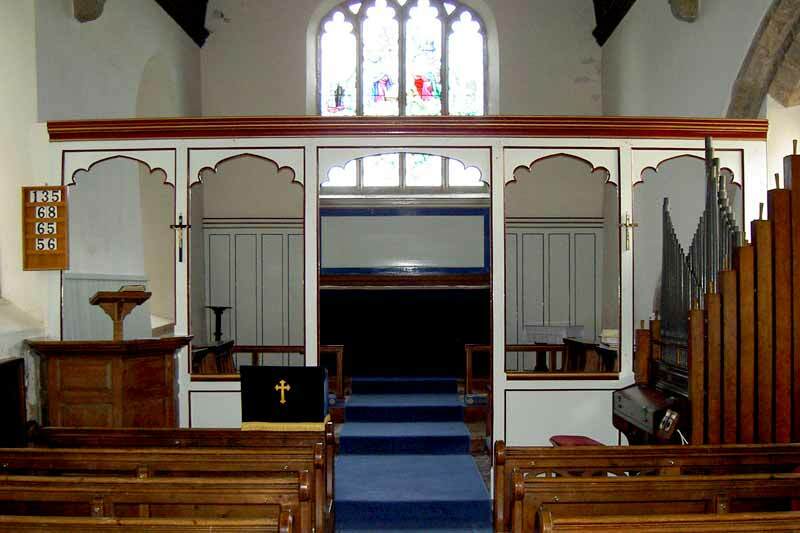 One of the rows near the chancel has an added lectern that matches the pulpit lectern in design. The seating at the time would accommodate about 64 people. These are of 'stained deal' of the 1890's restoration. 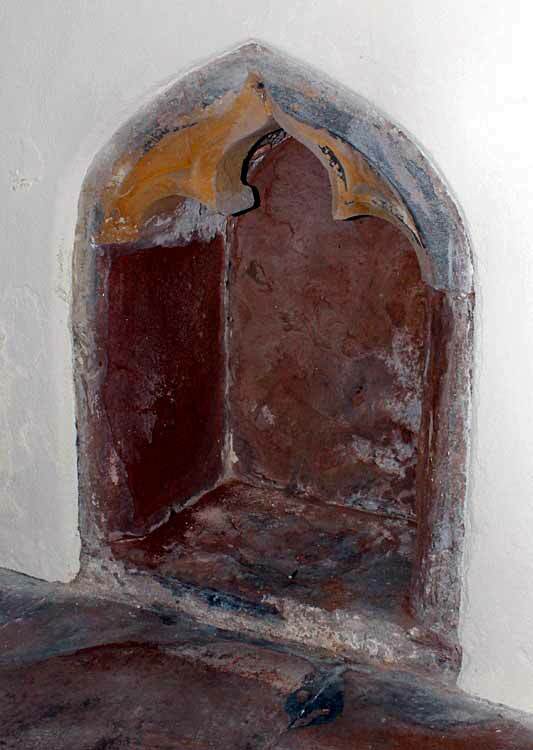 Stone arched and cusped form, now at floor level due to internal alterations having resulted with the raised floor at the chancel during the 1890s alterations. 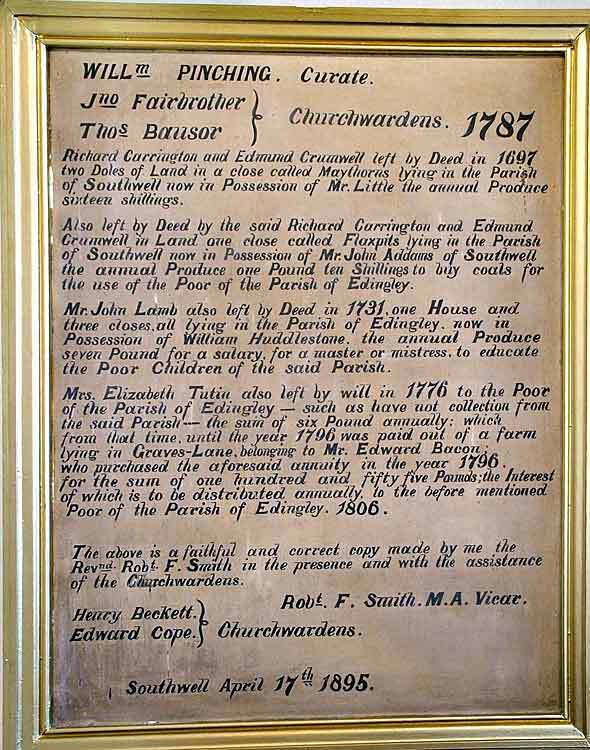 the use of the Poor of the Parish of Edingley. the Poor Children of the said Parish. who purchased the aforesaid annuity in the year 1796. Poor of the Parish of Edingley. 1806. Robt. F. Smith. M.A. Vicar.